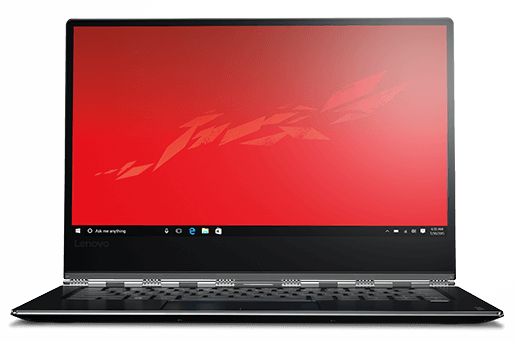 Lenovo and Disney join forces to release the Yoga 910 Star Wars special edition. There are two variants: one with the Rebel Forces insignia and one with the Galactic Empire logo. The Yoga 910 features the gen 7 i7-7500U CPU coupled with 8 GB of DDR4-2133 RAM and a 256 GB SSD. Even though the Lenovo Yoga 910 was launched one year ago, it’s still a powerful 2-in-1 solution. As the eighth episode of the Star Wars saga is nearing launch date, Lenovo and Disney are now offering a special Star Wars edition for the Yoga 910 notebooks that also comes with a $370 discount. 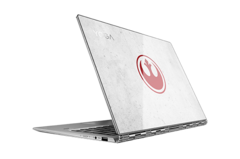 The lid has been customized with either the Galactic Empire or the Rebel Alliance insignia protected by a glossy Gorilla Glass sheet. The model features an IPS 13.9-inch 1080p display with multi-touch capabilities that is nearly bezel-less and comes with a stylish hinge system that converts the device into a tablet. Powering the Yoga 910 is the gen 7 i7-7500U ultra-low voltage 2-core/4-thread processor from Intel clocked at 2.7 GHz. The CPU is coupled with 8 GB of DDR4-2133 RAM, while storage is provided through a 256 GB NVMe PCIe SSD. Graphics-wise, this model includes the integrated HD Graphics 620 GPU from Intel. Thanks to a 4 cell 78 Wh battery, the Yoga 910 can run for at least 10 hours in normal use conditions. You can also check our detailed review of the Yoga 910 for a more detailed analysis. 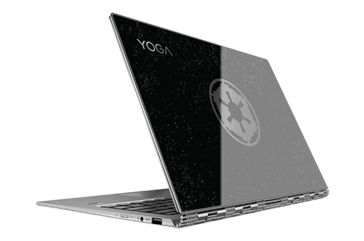 Lenovo is offering the Star Wars special edition Yoga 910 models directly through its official site. The model described above can be purchased for only US$930 with the “SAVEXTRA7” promo code. Also on sale is the model that comes with 4K display, 16 GB RAM and 512 GB SSD, which costs US$1,301 with the same “SAVEXTRA7” promo code.